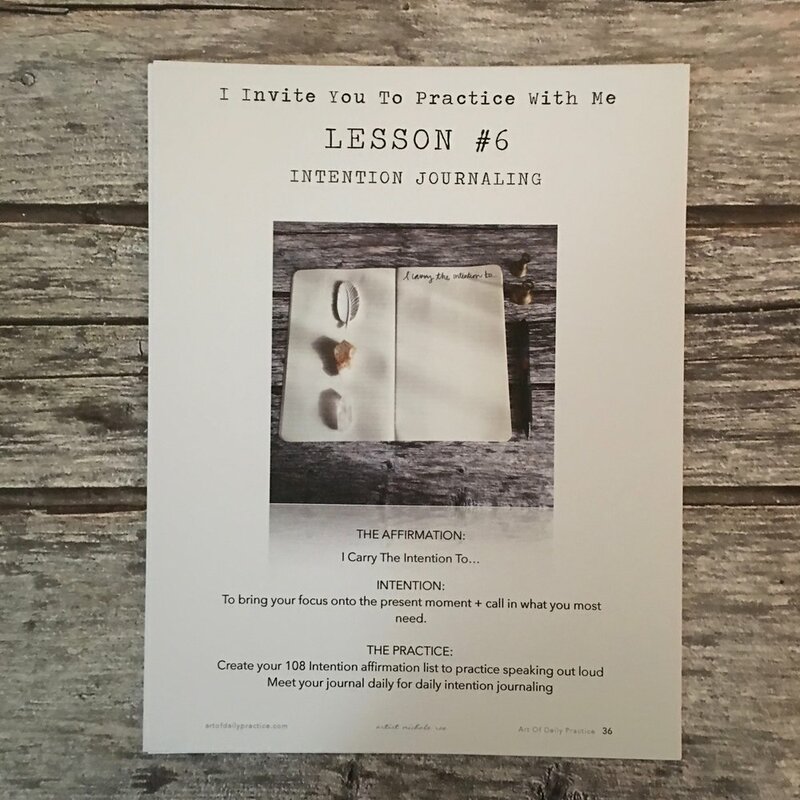 My intention for this E-Guide course is to guide you to unfold a creative daily practice to inspire your creative spirit and connect you with your present self through the 8 foundational art journaling and affirmation practices of the Art of Daily Practice. 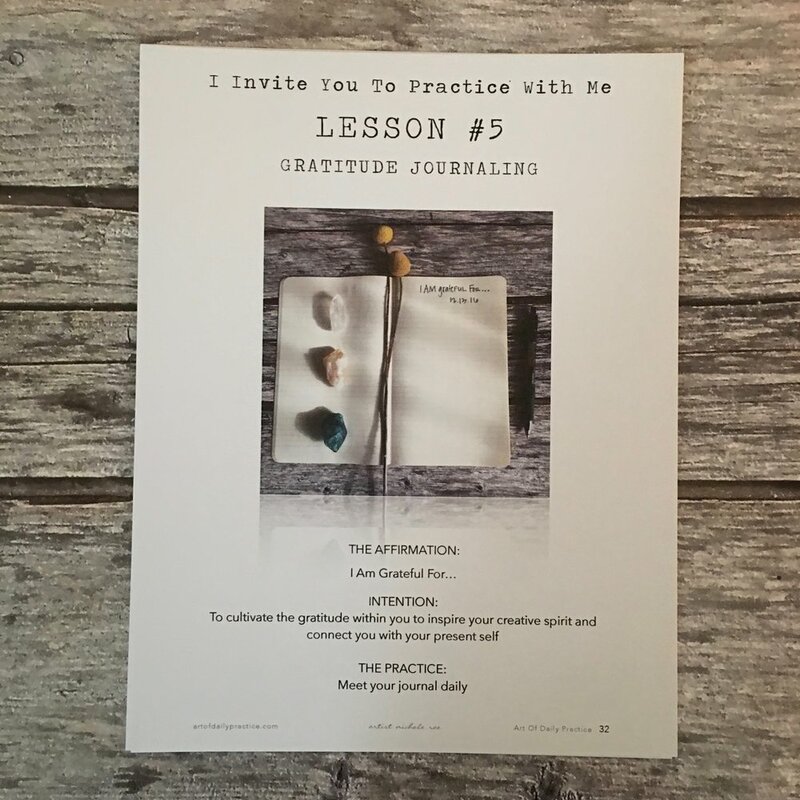 This e-guide course is created for you to begin with me and unfold into a daily practice over an 8 week journey allowing you to create a foundation to build on and rise in practice with me. CREATE WHAT YOU MOST NEED TO FIND. Guidance and inspiration for each lesson from my own daily practice. Artist Nichole Rae is a monthly guest on the ND Today Show. 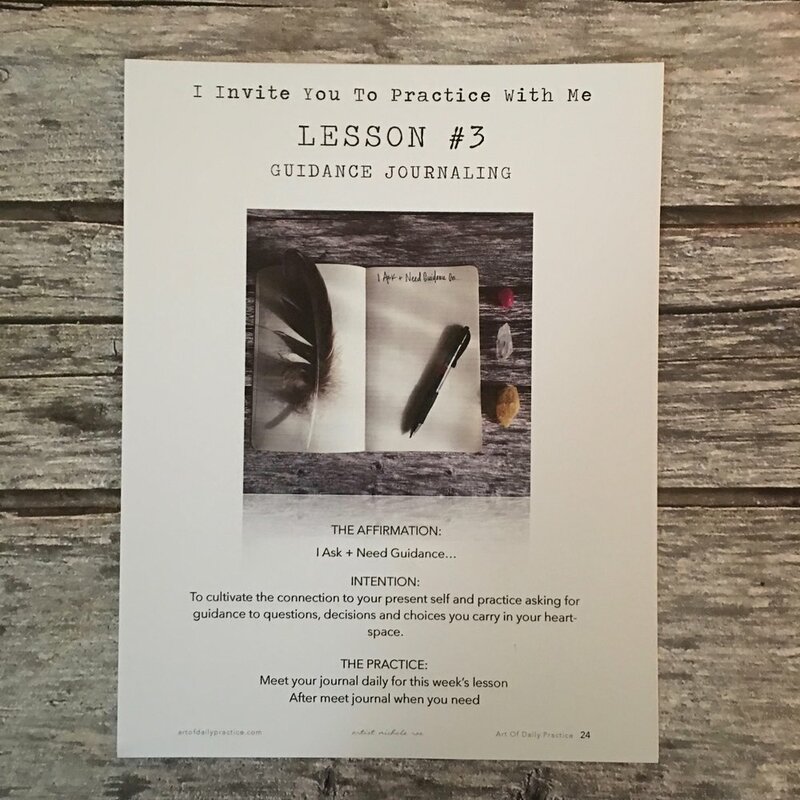 She shares her Art of Daily Practice "Practice With Me" foundational journaling practices to help one bring in inspiration, healing and guide one to create space as well as cultivate their vision. I love your new daily practice course! It is laid out beautifully, easy to understand and follow. I am so excited to get started. Thank you for offering so many wonderful practices, I own a few and have taken a few of your classes. - Sherri S.